I am very pleased that the ‘Interactive Music Awareness Programme’ (IMAP) for cochlear implant users we have developed at the University of Southampton is now up online and ready to use @ http://morefrommusic.org/. This is one of the main outcomes of the AHRC funded ‘Compositions for Cochlear Implantees‘ project and producing the online version has been a real labour of love! 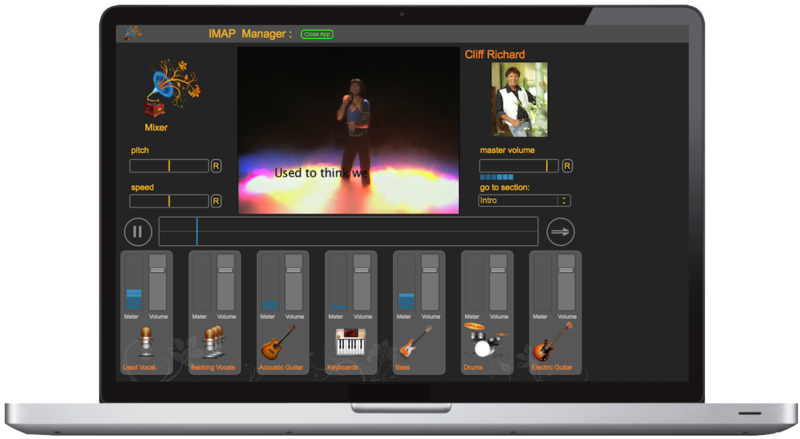 The computer based resource is aimed at helping cochlear implant (and hearing aid) users improve their music perception skills, it is also supposed to be fun and engaging to use. Some fantastic artists have contributed materials to the resource including Cliff Richard, Philip Selway and 10CC. I’ve loved being involved with this project for the past two years; the highlights having been working with all the lovely CI users I have met and collaborating with my colleague Dr Rachel van Besouw from the Institute of Sound and Vibration Research. This entry was posted in Composition, Electronics, Music and Cochlear Implants and tagged Cochlear Implant, morefrommusic, Music, rachel van besouw on February 18, 2014 by Ben.